The village of Locuon is, like many in Brittany, a pretty sleepy place. At first glance it might even seems rather ordinary, although its 16th-century church dedicated to Saint-Yon is pretty enough. 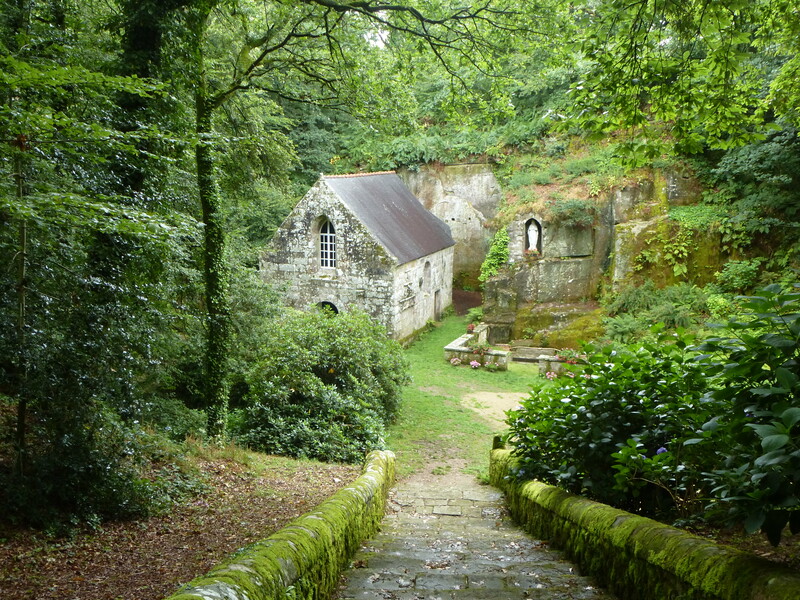 But lurking behind the church, down a steep, tree-lined path, at the foot of a long flight of stone stairs, sits something much more magical. The huge dip which can be found behind the church of Saint-Yon is not a natural valley, but in fact the rare remains of a Gallo-Roman quarry. Carved out over centuries, this quarry supplied stone for the nearby town of Carhaix. After the departure of the Romans the quarry became a place of holy pilgrimage, and a chapel was constructed in the 16th Century. Now it is a wonderfully atmospheric spot, peaceful and far removed from the outside world. 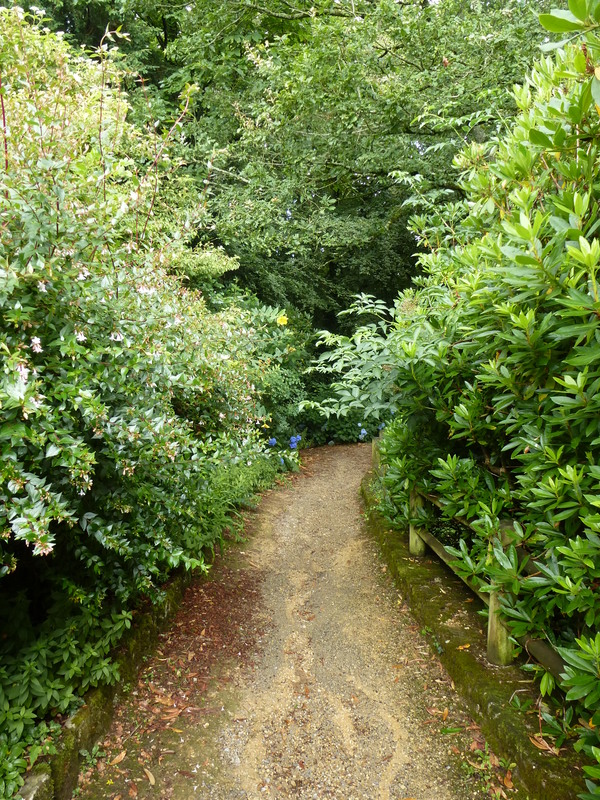 The quarry is a great place to explore, with lots of strange and intriguing gems hidden in its ferny nooks and crannies. 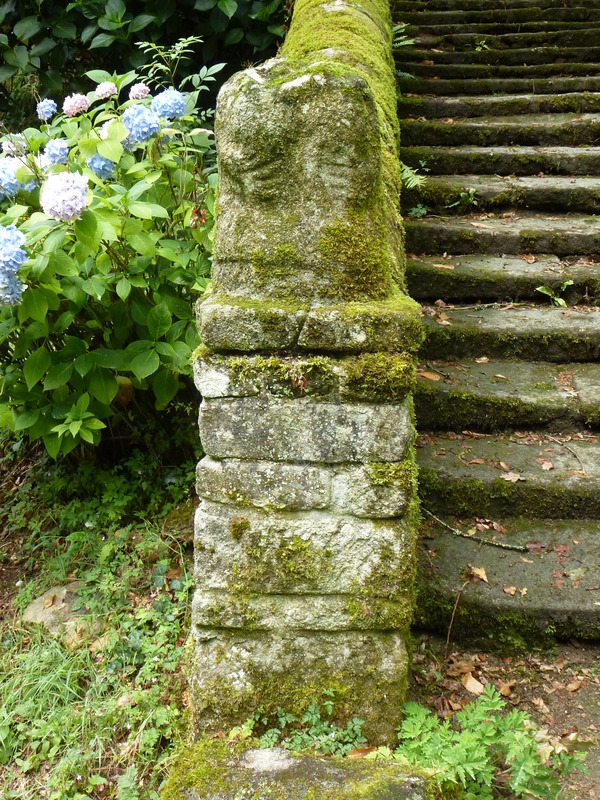 At the foot of the steep flight of steps which lead into it, for example, you will see an ancient goddess sculpture, the outlines of her hands wrapped round her headless torso just visible below a thick coat of lichen. 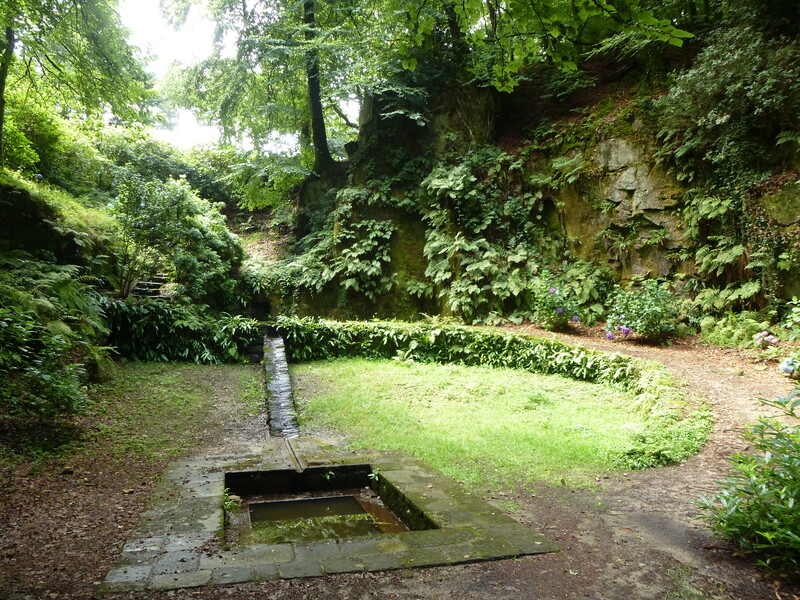 Further down in the depths of the quarry lies a holy well, which trickles out of a carved niche in the cliff face, along a gully and into a murky pool. 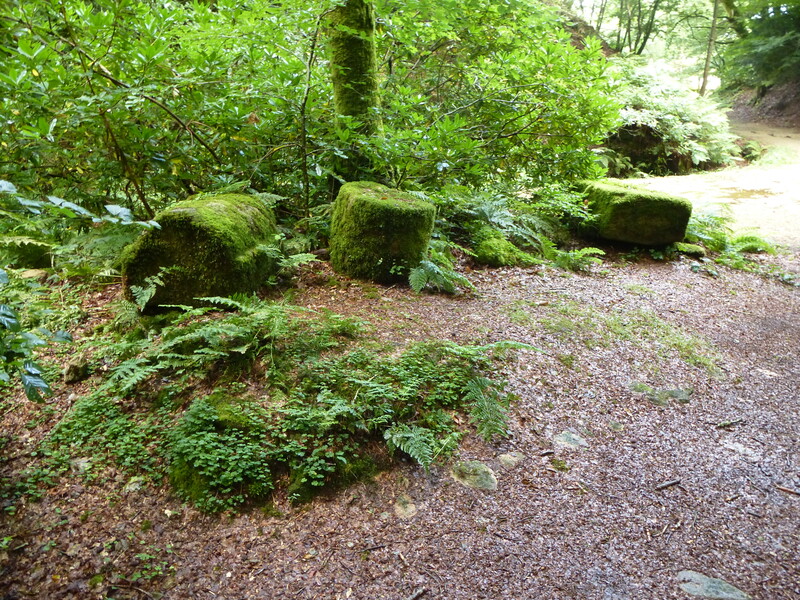 Not far from the pool are some remnants of the ancient quarry in the form of a group of sculpted stones, carved from the rock face but later abandoned here. They are now almost hidden in under a layer of moist green moss. 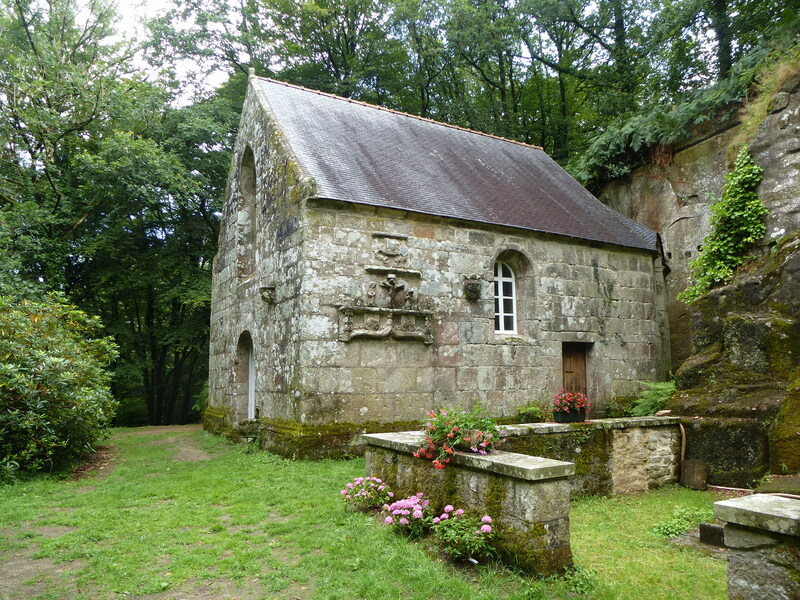 The chapel itself, known as Notre-Dame de la Fosse, is tiny, and fits snuggly into a recess in the quarry side. Its interior is simple, shadowy and silent, but the exterior is more showy, and decorated with elaborate carved reliefs. The most impressive carving on its exterior shows Saint Roch, famous for his miraculous ability to cure the plague. 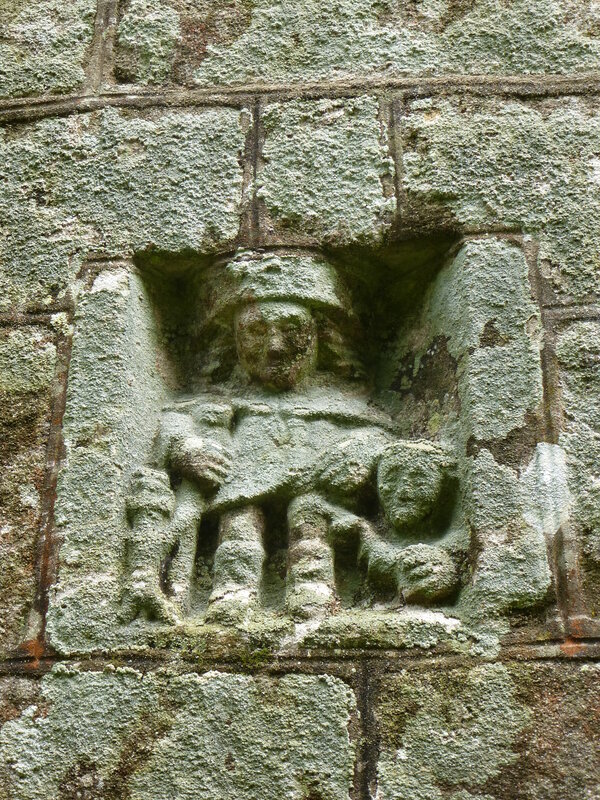 The fact that he is shown here may relate to the healing properties attributed to the holy well nearby. The ancient quarry of Locuon is a special, unique place. This being Brittany, it is also an undiscovered gem, far from the tourist trail and largely ignored by visitors – I only discovered it thanks to some helpful advice for a local. Wandering around this shady quarry, it’s easy to forget about the modern world which lies not far away, and really lose yourself in the magic.